The Professional Regulation Commission (PRC) released on Friday, July 18, 2014 the names of passers for July 2014 Optometrist licensure exam. 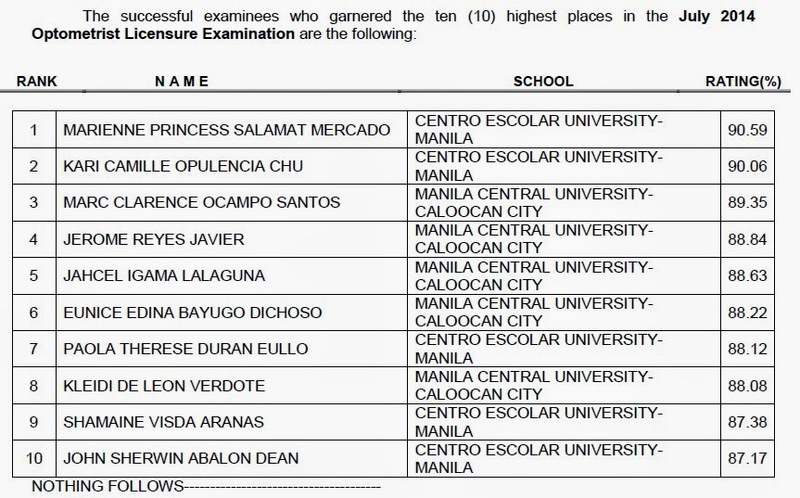 Marienne Princess Salamat Mercado of Centro Escolar University (CEU) - Manila topped the board exam with 90.59 percent grade. Kari Camille Opulencia Chu, also from CEU-Manila placed second with 90.06 percent grade.